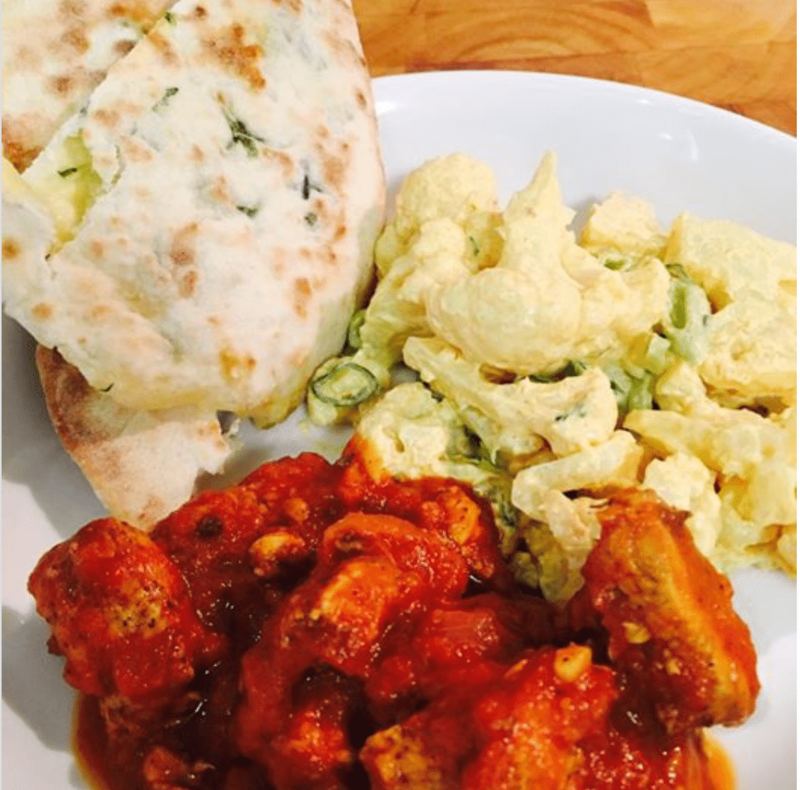 Super Skinny Butter Chicken was born for the need for a super tasty meal on the 4 Phase HCG Protocol – a butter chicken without butter or fats. This is a low fat, low calorie version and should not be mistaken for the original Skinnymixer’s Butter Chicken Thermomix Recipe. Add marinade ingredients to mixer bowl. Blend for 2 sec/speed 9/MC on. Scrape bowl down and repeat 3 times. Add the chicken and stir through marinade for 10 sec/speed 2/reverse/MC on. Scrape mixer bowl out completely, set aside in a separate bowl to allow chicken to marinate. Without washing the bowl, add tomato paste ingredients to mixer bowl. Blend 1 min/speed 8/MC on. Set tomato paste aside in a separate bowl again. Without washing the bowl, add onions to mixer bowl and chop 5 sec/speed 5/MC on. Scrape bowl down. Add 80 g or 2.8 oz water to mixer bowl, cook 10 min/100°C or 212°F/speed 2/butterfly/MC on. Top up water as required to ensure it doesnt burn bowl. Add 80 g or 2.8 oz of the reserved tomato paste mixture, cinnamon, whole cloves, cardamom, star anise, cumin and paprika to mixer bowl. Cook 5 min/100°C or 212°F/slowest speed/reverse/butterfly/MC on. Add reserved marinated chicken mixture and stevia to mixer bowl. Cook for 12 min/100°C or 212°F/slowest speed/reverse/butterfly/MC on. Pour curry into an insulated server, remove whole spices, stir through chopped coriander and let it sit covered for 10 min. Thanks for this recipe 🙂 Hubby made it for the first time last night, since we are all trying to watch our calories we thought we would give this recipe a try. This was divine, your other butter chicken is still my favorite but this will be my new regular and i will leave the other as a treat. worked out to about 170 calories a serve without the rice. Check the chicken chunks at the end. Mine were not quite cooked through so I repeated the last step again just to make sure it was properly cooked. We now know black pepper helps with the absorption of curcumin in tumeric and enhances its absorbability. What’s with no pepper in this recipe??? 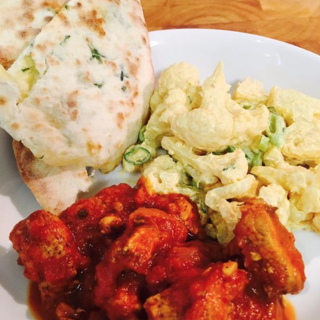 Hi iv had this butter chicken at my sisters and loved it and wpuld lobe to make it but i dont have a thermo is there a recipe to use eoth out one? Just wanted to share that I made the skinny version of the butter chicken over the weekend. Was initially skeptical how it would compare to the full recipe. But it turned out to be a pleasant surprise as the chicken remained full of flavor and still somewhat creamy notwithstanding the absence of cream, oil or much sweetener. This is my son’s, who is 5, favourite dish. Whenever I ask him what he would like for dinner, it is always butter chicken. Thanks Nik for a great recipe. A great substitute for this dish is eggplant – delicious. I am making it tonight with ‘chicken’ pieces made by Quorn.